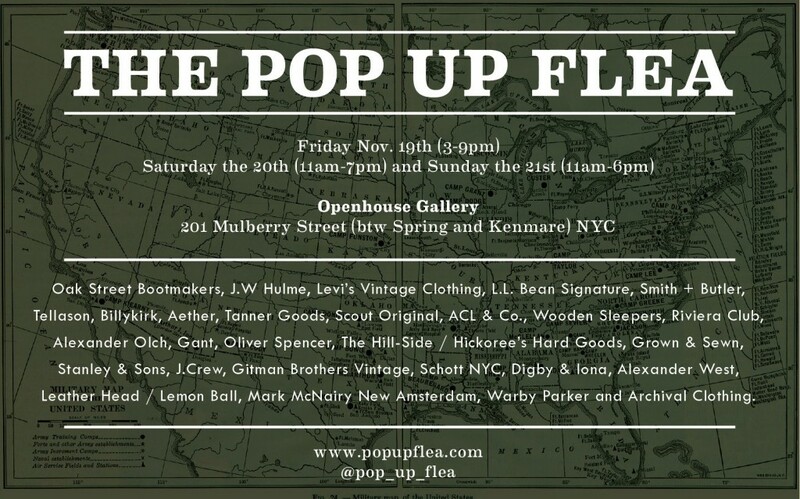 The Pop Up Flea | Kick Off Tonight | A Continuous Lean. I hope to make it by this time around. I plan to bring Jr. so I can educate him on approved things he can spend mom and dad’s money on. OH YEAH!! It is on. Hey does anyone know whether F. Rock will be here? I heard they are down from Boston for a show this wkend. Maybe this is it? How do I get something like this to happen in Atlanta, Ga.? Damn, I wish I was there. @Brooks hit me up and we”ll try to get that ball rolling! Michael – What an incredible event. Thank you! It was a true pleasure meeting you and chatting for a bit. I hit the Flea twice, Friday and Saturday. Lots great stuff. I am glad I stopped by. Thanks for introducing yourself briefly on Friday. I was the guy who commented on your solid choice of the Black Keys for the evenings soundtrack. I look forward to the next one.